I used to religiously join in with Little Loves and then when my blog unexpectedly took a back seat in my life I ended up losing track. One of my plans for this year is to put a little more time and love into my blog again and joining in with this linkie is an absolute must. I went through my Pinterest boards this week as I wanted to complete my Affirmations for 2018 post. I think Pinterest is ideal when it comes to needing calm in your life and getting inspiration. I finally got round to watching the fourth season of Black Mirror. I have to admit...although I liked them I wasn't as taken as I was by the first or second series, which I think were by far the best. My favourite, and the episode I suppose I related to quite a lot, was the fourth about the couple dating. I found it really interesting and thought provoking. I've also been watching Celebrity Big Brother when I've had time. I've found it really interesting. I'm not such a fan of the "Year of the Woman" theme and I agreed with Anne Widdicombe when she said she didn't like that these daily tasks had been taken away from them as we [women in general] are perfectly capable of doing those jobs without the help of a man. I have also surprised myself by really liking Shane/Courtney. I love his attitude and how calm he is during a debate and how he won't get angry and does put his point across and really challenge any out of date or ridiculous attitudes. I absolutely love Post Malone. I've been listening to his album and it is amazing. Rockstar is one of my favourites. Only watch the video if you aren't offended by swearing...it's also a little gruesome. Short and sweet for this one. I made THE BEST lasagne I've ever made this week. I always do my lasagne in the slow cooker and this one by far was the best I've ever made. I was impressed and even better, so were the boys...and my boyfriend. Winner! It was nail day on Wednesday! 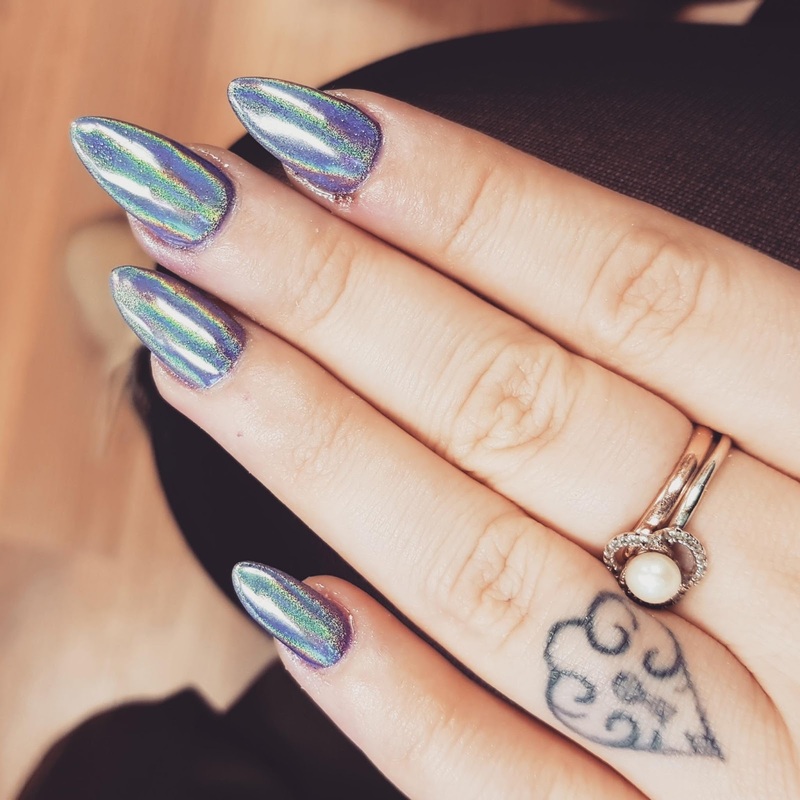 I have been getting my nails done for a year now, which for a previous nail biter is amazing. It is a luxury I know but I do feel like it has done me good and I know that without having them done I would still be biting my nails and having disgusting sore fingers constantly. I am completely indecisive when it comes to colours usually but this time knew I wanted something metallic. I am obsessed with these. My best friend is getting married this year in Cyprus. I have offered to throw a "Bridal Shower", a term I hate but I guess that's what it is, in my garden. I'm really excited and have already started to plan it. I wanted to do it for everyone to be able to get together, in particular the people who won't be going to the hen weekend. Again, I headed to Pinterest straight away to look at ideas and get inspiration. I'm going to be posting about my ideas and everything on my blog and stalking Pinterest like a manic woman every day.